Gear up for an exciting, action-packed, first-person shooter and fight to defend mankind against an aquatic alien threat in Battleship. Step into the role of Cole Mathis, the U.S. Navy's "boots on the ground," and experience thrilling gameplay as you combat a deadly alien invasion in this game inspired by the upcoming Universal Pictures film. Command real-time control of naval units, strategize a map-wide plan of attack and direct your fleet to launch air strikes, conduct radar sweeps and engage in high-seas combat. Battle against the invading threat on the shores of Hawaii as a member of the elite E.O.D. 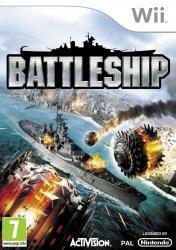 Arm yourself with an arsenal of deadly weapons and upgradeable naval units, all with special attacks and attributes. Are you ready to prove your worth as an elite soldier?